Anyone can take mussels from the Taw Torridge Estuary mussel beds though the area is an SSSI designated for birds which feed there. When recently the mussels attracted fishers outside the area the Devon & Severn Inshore Fisheries & Conservation Authority (IFCA) stepped in to protect the stocks at acceptable levels. 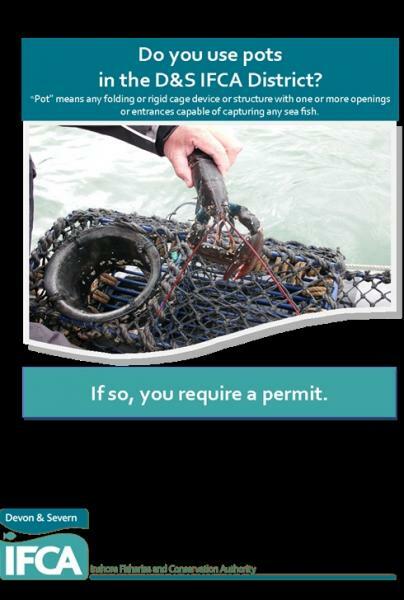 They introduced a licensing system that serves local interests whilst deterring those from further afield, and in our latest talk Sarah Clark, Deputy Chief Officer Environment, cited this successful example of IFCA’s sensitive role in protecting the marine environment from damaging fishing activity. Sarah used examples such as this to illuminate the complex policy and regulation that now governs the various Marine Protected Area designations, and the lengthy processes that follow designation with their unfamiliar language, bringing her material to life. 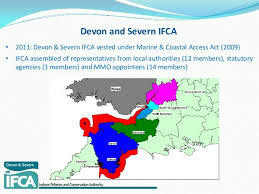 IFCA’s remit has increased greatly since the 2009 Marine Act, with the advent of Marine Conservations Zones bringing the total Devon MPA area to 40%, now including in North Devon Hartland and Bideford to Foreland Point MCZs. Even so Devon & Severn as one of the largest IFCAs, has one of the smallest budgets. Quite clearly they have a very challenging job to do, Sarah’s excellent presentation gives us confidence that for their part at least our coast is in good hands.